Premier Federal Credit Union has eight branch locations and more than 80 shared branch locations in North Carolina. It also offers its members access to its funds from any ATMs at no cost. It offers business savings and checking accounts, lending, notary services, direct deposit and payroll deduction, insurance programs and more. It has an A+ rating by the Better Business Bureau. 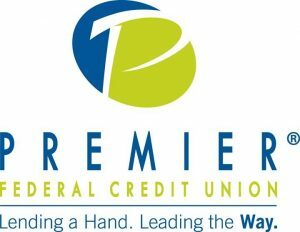 You are eligible to join Premier Federal Credit Union if you work for or retired from an affiliated company, if you are a member of the North Carolina Consumers Council (NCCC), if you live or work in Kings Mountain, North Carolina or select areas of Forest City, North Carolina or if you have an immediate family member that is currently an active Premier member. Premier Federal Credit Union has eight branch locations and more than 80 shared branch locations in North Carolina. It also offers members access to their funds from any ATMs at no cost. You can use its branch locator to see which locations are closest to you. Premier Federal Credit Union also offers the following business services: business savings and money market accounts, loans and lines, credit cards, Small Business Administration funding and commercial real estate financing. Currently, it doesn’t offer wealth management. Find out more about its small business offerings on its website.